There are many contributing factors to successful sea angling, but the most important one is the bait you use. It doesn’t matter whether you are fishing in exactly the right spot, at the right time, on the best tides; if you haven’t got the right bait, you won’t catch. It really is that important. For the beginner, choosing and sourcing the right bait can be a bit of a nightmare. 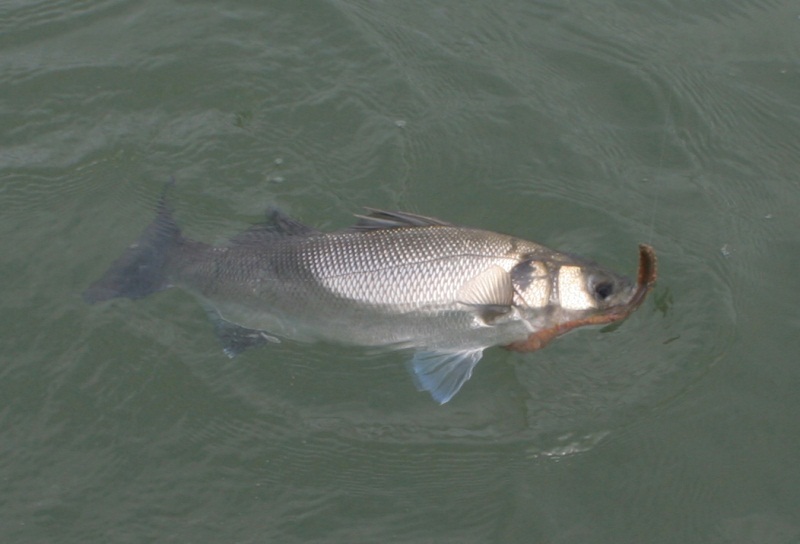 Too often, sea anglers minimise their chances of success by using the wrong bait or, even worse, poor quality bait. Here, we are going to look at some of the most popular sea baits and how best to source them. We will also look at the best ways to present the bait and, hopefully, maximise your chances of catching fish. To get any real idea of what bait to use, you have to look at what the fish you are targeting, are feeding on. That may sound obvious, but it is surprising how often that simple rule is overlooked. Of course, what the fish are feeding on will depend on a number of factors, such as time of year and conditions leading up to the day of your trip. For now, we are going to forget about artificial lures, etc, and concentrate on natural baits. Let’s start with one of the most convenient and easily sourced - fish baits. The first thing you should know about fish baits is, never to buy it off a fishmongers slab! It may well be sold as fresh and it might be fit for human consumption but, for bait, it is all but useless. Fish on a fishmongers slab can be days old before you buy it and that simply isn’t fresh enough. For fish to be any good for bait, it has to be freshly caught and used straight away, or blast frozen very quickly after capture. This is especially so with some of the more popular sea baits, such as Mackerel, Herring and Sand eel, which are all oily fish. If you have to buy frozen bait, most tackle shops sell blast frozen, vacuum packed fish and that’s what you should go for. Although frozen fish will do the job, fresh caught fish is by far the better option. As mentioned earlier, the best way to choose what bait to use, is to think about what your target species is feeding on. Therefore, it is common that charter boat skippers will stop to feather mackerel, launce and sand eels on the way to their fishing marks. It figures that if there is an abundance of bait fish in an area, bigger fish will be feeding on them. The same can be said for beach fishing. If there are numbers of small fish close to the shore, bigger fish won’t be far away. So, now you’ve got some decent fish bait, let’s look at how to present it properly. Mackerel is best fished in fillets, hooked once or twice through the widest end so that it hangs on the bend of the hook and flutters in the tide without spinning. A lot of anglers make the mistake of threading the fillet up the shank of the hook, which looks great in your hand, but ends up in a big ball bunched up around the bend of the hook once it hits the water. Not only is this unattractive to fish, but it often masks the point of the hook, resulting in missed bites. Herring, being a lot softer than Mackerel, is best fished in chunks. Just cut the head off and continue to slice across the fish at 1 to 2 inch intervals. The hook is then passed in one side of the back and out of the other, taking care to avoid the backbone. Again, the bait must hang on the bend of the hook leaving the point exposed. Sand Eels can be threaded along the hook shank head first. The point should be brought out through the belly, leaving it well exposed. Sand Eels are very soft and can come off during casting, so a lot of anglers whip them onto the hook shank with bait elastic. The size of hook you use for fish baits will depend on the species you are targeting and the size of the bait you are using. It is important to use a hook big enough hold the bait without the point becoming obscured or masked. There really is no need to try to hide the hook, as the fish you are targeting have never seen a hook before and, therefore, have no fear of it. As a general rule of thumb, for decent size Mackerel or Herring baits, anything from a 3/0 to 5/0 will be suitable. Avoid fine wire Aberdeen hooks as these will pull through the bait easier and will not usually be strong enough to cope with the fish you are targeting. However, the Aberdeen patterns in sizes 1 and 1/0 are ideal for fishing with Sand Eels. When fish aren’t on the hunt for smaller fish, they are scavenging and grubbing around on the sea bed looking for other small animals to eat. Worms, although probably the most popular bait with sea anglers, are not as convenient or easy to source as fish baits. Just like fish baits, worms have to be very fresh to be of any use to us, so you either have to dig them yourself, which is a very hard and messy job, or buy them from a good tackle shop that employs a bait digger. Once you have them, they have to be used very quickly. The two types of worms that are widely used by sea anglers are the Lugworm and the Ragworm. Lugworm is mainly used in the winter for Cod and Whiting, but is can also be deadly for Bass in the right conditions. These worms are very soft and ooze juices when hooked, which makes them very attractive to the feeding fish. However, if they aren’t used quickly, they soon turn to mush and become useless for fishing. The best way to keep them is wrapped in dry newspaper, in the fridge and even then they will only keep for a few days. They are quite expensive to buy and can’t be frozen, so bear this in mind when planning your trip. The best hooks to use with Lugworms are fine wire with a long shank. This is so that the worms can be threaded along the shank to make a decent size bait, without bursting them. Sizes 1/0 to 3/0 are ideal for general fishing, but you can go down to a size 1 or 2 if you are targeting fish with small mouths, like flounders. Ragworms are much more tough and hardy than Lugworms. They are used mainly in the summer. They are excellent bait and fish are attracted to them by their movement as much as their scent. 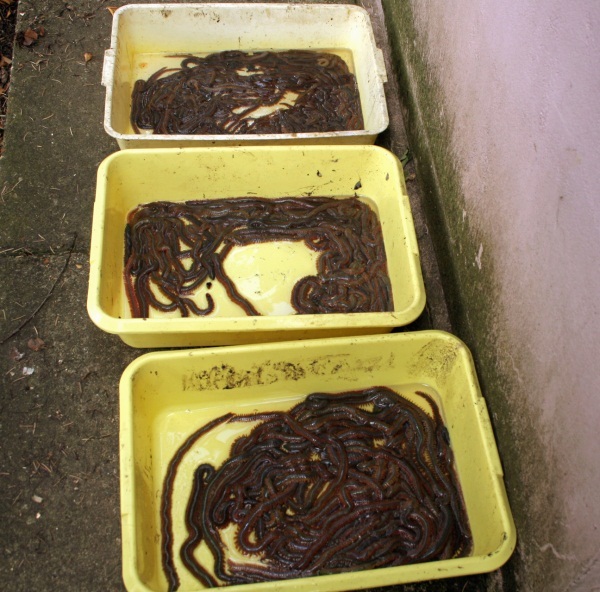 Unlike Lugworms, Ragworms can be kept for quite some time with a bit of care. Place them in trays with either a few centimetres of fresh sea water, sea peat or newspaper dampened with sea water. They must be kept cool, but not too cold, and can last for up to two weeks. Like Lugworms, they can’t be frozen. You can thread Ragworms up the shank of a hook, in which case, use the same hooks as you would use for Lugworms, or just hook them through the head, so that they can wriggle and swim. If you head hook them, you need to use a smaller hook so that the weight of the hook doesn’t restrict their movement. Some people have had great success using carp hooks. Crabs are the staple diet of many species of fish. It should come as no surprise, then, that they are a favourite bait among sea anglers and one of most successful, too. By far, the best crabs to use are those that are just in the process of shedding their old shell to make way for a new one, or moulting. These are known as peeler crabs. Under the old shell is a brand new soft skin that will gradually harden into a new shell. While they are peeling, and for a short time afterwards, these crabs become very immobile. They sit under rocks and blankets of weed, hiding from predators whilst they are in their vulnerable state. Fish know when the crabs are moulting and will come foraging for them amongst the rocks and weed. Good sea anglers take advantage of this by going to fish the same areas, armed with peeler crab bait. You can either collect your own crabs by looking for them in the spring, among rocks and weed, or buy them from good tackle shops. Be warned, though, they are very expensive to buy! Peelers can be kept for up to a week in trays of bladder wrack weed, given a light spray of sea water a few times a day. You need to mount them on a wide gape hook to avoid masking the point and there are several ways to hook them. The best way is to remove the hard shell, leaving the soft skin exposed, then pass the hook point through a leg socket, through the back and out through another leg socket. They can be whipped onto the hook shank with bait elastic if you are going to cast them any distance. Once the crabs have shed their old shell, they are known as soft backs. Soft back crabs are also an excellent bait, but they don’t last as well as peelers. Therefore, you can’t usually buy soft backs and have to collect your own. They are mounted on the hook in the same way as peelers. Within a few days, the soft shell starts to harden and the crabs become crispy. They can still be used in this state, but they aren’t as good as peelers or softbacks. Once the shells are hard, they become as good as useless for bait, although you can sometimes catch Smoothounds and Wrasse on hard back crabs. Perhaps the most versatile of all sea baits, is squid. It is cheap, easily sourced and can be kept in the freezer until needed. In recent years, Squid has grown in popularity among sea anglers and, as more and more anglers are starting to use it, it is accounting for ever increasing numbers of fish. It’s is so versatile that you can use anything from multiple squid on a multi-hook rig for monster Cod, to a thin sliver or single tentacle for small flat fish such as Dabs. There are several different types of Squid on the market and some are better than others. The best way to source it is through a fish merchant, where you can buy it in bulk. 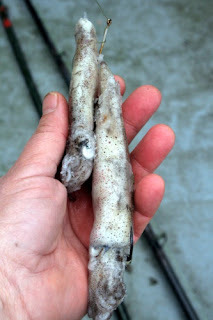 Ask the fish merchant for the same squid as the local commercial long-liners are buying. The bulk blocks of frozen squid can be semi defrosted and split into smaller packets, so you just have to take a packet out of the freezer when you want to go fishing. Once you have taken a packet of squid from the freezer and it has completely thawed out, it should not be re-frozen. I can’t think of a single species of sea fish that will not take squid and it can be used throughout the year. For bigger species of fish, such as Cod and Bass, it is best to use whole squid as bait. You must use big hooks to avoid masking the point. To hold the bait in position and stop the squid from bunching up on the bend of the hook, it is best to attach a second hook higher up the trace. This is known as a pennel rig. For smaller fish, you can cut thin, long slices of squid and mount them on small hooks in the same way as you would a fillet of Mackerel so that they flutter in the tide. Slivers of squid can also be used to tip off worm baited hooks. If you follow the basic guidelines set out here, you will soon be well on the way to becoming a successful sea anglers. You won’t be wasting time and effort by fishing with ineffective bait and will save yourself a lot of frustration. With good bait, you know that if there are fish in the area, you will catch them. With bad bait, you’ll never know whether there were fish in front of you or not. Good luck and tight lines.